Jet Cards are often praised as a particularly cheap alternative for frequent flyers. In principle they work like prepaid credit cards. You buy a certain amount of flight hours and pay for them in advance. If flights are booked via this card, they are debited from the credit balance. Yet, are Jet Cards really as advantageous as they seem to be? A fixed budget – advantage or disadvantage? When Jet Cards are used, the flight hours and the according budget are predetermined. This makes bookkeeping easier, as you only have to book once at the beginning of the contractual period. However, this implies that the amount of flight hours has to be defined well in advance. The price for the individual flight hours depends on the amount of the pre-paid hours. Thus, if the Jet Card is only used for a few hours, the costs unnecessarily rise. In contrast, if you acquire too much hours, they cannot be used properly. With some Jet Card providers, unused hours expire at the end of the contractual period, while others will still let you use them up afterwards. On-Demand Charters are the most flexible solution of travelling on private jets. As soon as you know when and with how many passengers you want to fly, you simply look for and book the most suitable jet. This way, you always only pay for the flight that you actually require. However, it might happen that the desired jet is not available for short-term requests or during big events. Anyway, there will be a solution – like chartering another type of jet or ferrying in the desired jet type. In contrast to this, your own private jet is always available. However, you have to completely or partially pay for the costs for the aircraft and it cannot be adapted to the respective needs of different trips. 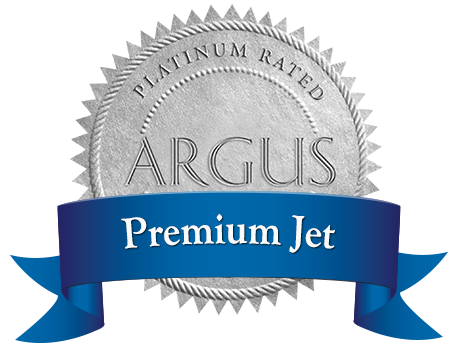 With Jet Cards – just as with chartered flights – you have the possibility to always book the jet exactly suiting your current travel needs. At the same time, you can be sure that there will always be a jet at your disposal. With Jet Cards, the costs for flight hours are stated in the contract. During peak times – for example at the beginning or end of holiday seasons or during big events – prices might rise significantly. Thus, you always have to take a closer look at what is stated in the contract. Additionally, a lot of Jet Card providers add so-called taxi time (i.e. the plane rolling to the runway) into the flight time – with up to 15 minutes per flight. Furthermore, there might also be additional fees for using so-called non-preferred FBOs (airport operators), depending on the contract! All of this leads to the fact that the actual costs of a Jet Card might significantly differ from the “fixed’ prices. With On-Demand Charters, on the other hand, you receive a binding price offer for the requested flight – without any indirect costs or additional fees. The most common argument is that Jet Cards are offered at more attractive rates than On-Demand Charters. The price per flight hour declines the more hours you book at once. Yet, as stated above, there are often hidden costs and additional fees, depending on the contract and provider. Consequently, it is important to have a very close look at the contract. A good alternative to Jet Cards are the so-called frequent flyer programs of charter providers. Obviously you will get far better conditions as a frequent flyer than you would as an occasional or one-time flyer. Most frequent flyer programs by charter providers offer the same great conditions as Jet Cards while at the same time being far more flexible. Learn more about our Frequent Flyer Program!